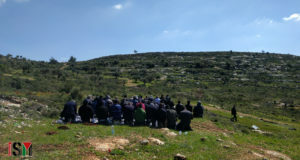 Farmers from Bil’in, 12 km. 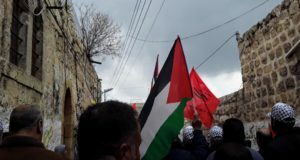 west of Ramallah, are continuing their efforts in Canada to obtain a court order instructing two building companies registered and domiciled in Quebec to stop all apartment construction on land they maintain belongs to them, a Toronto lawyer representing them said on Tuesday by conference call during a press conference in Jerusalem. Map of the Bil’in area. The lawyer, Mark Arnold, said that on Monday, he had filed an appeal against the September 18 ruling of Quebec Superior Court Judge Louis-Paul Cullen, dismissing a civil action suit by the plaintiffs on the grounds that the claims should be heard by the High Court of Justice in Jerusalem. The suit was filed against Green Park International Inc. and Green Mount International Inc., which were originally slated to build 3,000 housing units in East Matityahu, a neighborhood in the Modi’in Illit settlement. As a result of a court decision that shifted the route of the West Bank security barrier in the area, the companies are now set to build a total of 2,000 units, including 500 that are already completed and others currently under construction. Arnold explained that the legal action is based on the fact that, unlike in Israel, the Geneva Conventions have been incorporated into Canadian Law. 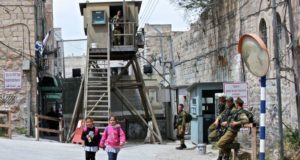 According to the Fourth Geneva Convention, it is forbidden for the occupying power to transfer citizens of its own country to the occupied territory. Since the two construction companies are based in Canada and are allegedly violating Canadian law, the case brought by the Bil’in farmers ought to be heard in a Canadian court of law, he said. The lawsuit against the two construction companies marks the first time that Israeli and Palestinian human rights and social action organizations have fought a legal battle against Israeli settlement building in a foreign country. In the appeal against Cullen’s decision, Arnold argued that the judge had erred in several ways. First of all, the High Court of Justice only hears petitions aimed against the State of Israel. Second, the High Court has repeatedly refused to rule on questions involving the legality of the settlements, on the grounds that the issue is not justiciable. He also rejected Cullen’s argument that the connection between the construction companies and Quebec was “merely superficial,” given the fact that the defendants are registered and domiciled in Quebec. Attorney Michael Sfard, who represents the Bil’in village council here, said it was important to take action against private individuals and companies that help the state in its actions that violate international humanitarian law.